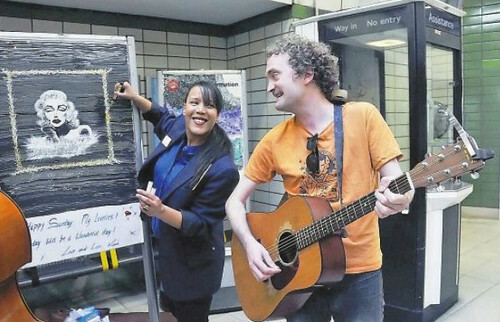 Love this story of how the Caledonian Road Tube artist has inspired a Holloway musician, Eoin Quiery, to write a song about her. Kim Kalan's lovely artwork and cheery messages on whiteboards have have been brightening up the ticket office at the London Underground station for around a year. She was "gobsmacked" to hear she was going to be immortalised in song. The customer service assistant who is a novelist in her spare time and is currently looking for an agent for her first sci-fi fantasy book. She sketches up to two drawings a week, working on them in her breaks, when the station goes quiet and at the end of her shifts. Eoin Quiery, @eoinquiery, said: "The pictures just cheer everybody up when they are making their way into a work on a dreary morning. It's great to see somebody with such a positive attitude. I wanted to capture her positivity in the music." He will record the song later this month with his acoustic rock band Burning Wheel, who are working on an album. You can read more about this story here. 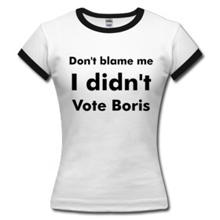 Hat tip to Mark Baldwin who read about this in Muswill Hill New Journal. Please keep the stories about Tube staff that make you smile coming in.